Welcome to the Top Upcoming RPGs of April 2019! In this series we highlight the Top 5 RPGs for the upcoming month. In this edition, we’re going to take a look at each of the titles, talk a little about each, and then explain why we think they deserve to be on the list. So join me now and find a mixture of some hidden gems and old favorites given a shiny new coat of paint. 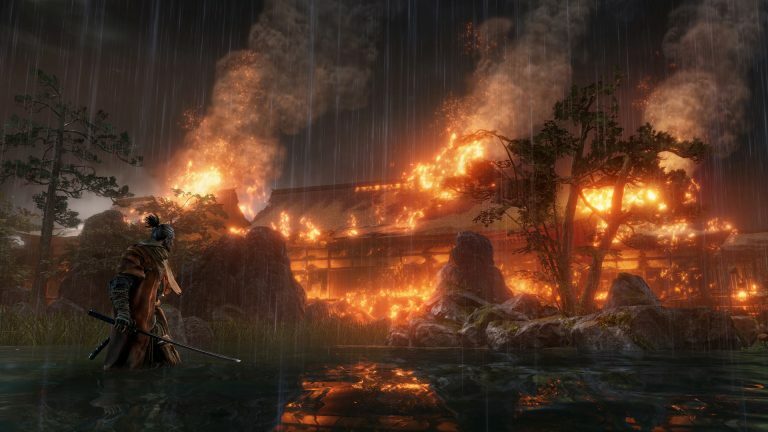 Last month’s top spot was grappled by the shinobi inspired action game, Sekiro Shadows Die Twice, bringing new heights to the Sengoku period. This month’s round up of games takes players on a slightly different journey of old and new, with some classic titles making appearances on new platforms. Whether you’re looking to take on a familiar game on another platform or searching for a new challenge, there’s a variation of games to suit different moods. Without further to do, let’s get into the month of April! 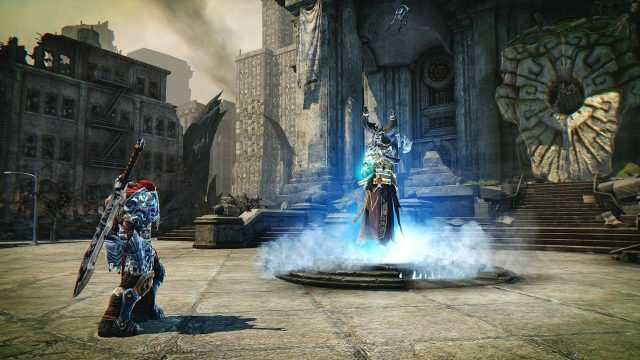 Releasing this month on a new platform of the Nintendo Switch, Darksiders Warmastered Edition brings the first entry in the franchise that focuses on the Four Horseman of the Apocalypse. The first game features War, who acts along with his brothers as the enforcers of the Charred Council, maintaining the balance between Heaven and Hell. But War is called to Earth due the chaos raised between fighting Angels and Demons. As he tries to defeat a demon, he realises his powers are being drained, he next wakes up accused by the Council of being the cause of the end of the world. In order to prove his innocence he returns to Earth to clear his name but is tied to Watcher to keep him in check. Gameplay includes wielding apocalyptic powers, brutal attacks, supernatural abilites as well as an extensive arsenal of weapons to choose from. There are also quests that will take you to the wastelands and dungeons overrun with demons. Evolve your playstyle using a range of relics, upgradeable options for your weapons, unlock new abilities to suit your destruction. Darksiders: Warmastered Edition comes to the Nintendo Switch on April 2nd. 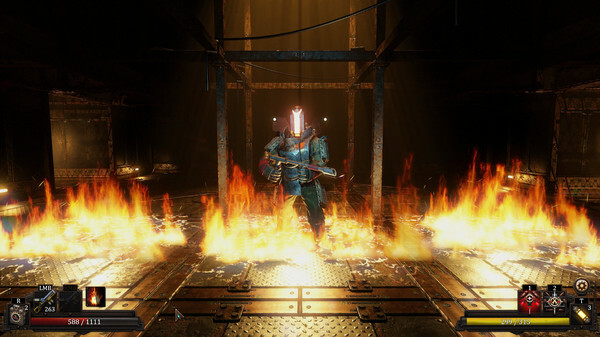 A single-player game with steampunk theme, this dungeon crawler RPG Vaporum is inspired by games such as Dungeon Master I and II, as well as the Eye of the Beholder series. The story takes place stranded on a small islet situated in the middle of ocean. Entering a gigantic mechanical tower you must uncover the mysteries that lie within and well as discover who are you. While most RPGs favour abilities to level up, Vaporum focuses on improving your exoskelton, because in this game “you are what you wear”. The gadget system allows you to change up your loadout at any time, which gives players a great deal of flexibility for different situations that you may encounter. As you progress, unlock new circuits which will give you a permanent attribute advantage as well as passive skills. The title offers first person combat in real time, puzzles as well as level-wide objectives and a gadget-based RPG system. As you explore the immersive steampunk world of Vaporum you will be rewarded with loot as well an enigmatic storyline which is accompanied by a fully voiced cast of main characters. Vaporum releases on PS4, Xbox One and Nintendo Switch on April 10th. 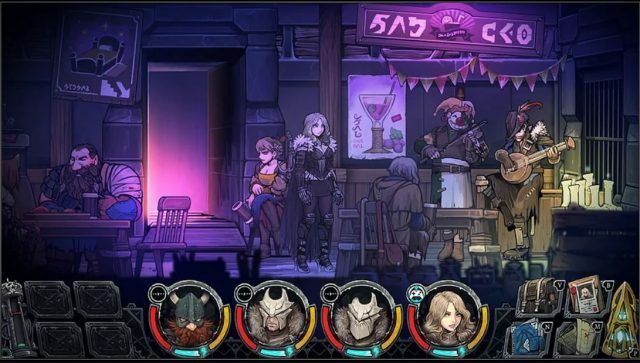 Vambrace: Cold Soul is a narrative driven rogue-like title that pits players against brutal challenges matched with deep strategy. Players take on the role of Evelia Lyric, the only human able to enter frost covered Icenaire, the cursed city. Now inhabited by it’s former residents that have been raised from the dead, these Wraiths plague the city. It is down to you to bring hope to this darkened land, as you bear the enchanted vambrace. Plan your missions underground and then head to the surface with your team to combat strange encounters. Journeying into an epic fantasy adventure, this title spans over 7 chapters, captured in a beautiful hand-drawn artstyle. You can choose to take part in sub-quests to unlock character skins. Battle through perils with your party in turn-based combat, choosing from 5 different races which include humans, elves, foxier, dwarves or drow, and 10 different classes. Items can be crafted as well as armor, use materials gathered from your side-scrolling adventure. It’s down to your decisions, that will make or break your party’s survival. Vambrace: Cold Soul will release on PC on April 25th. Now joining two new platforms, Final Fantasy X/X-2 will be arriving in April for Xbox One and the Nintendo Switch. In Final Fantasy X, players follow the story of Tidus a blitzball player who journeys with a young summoner named Yuna. Together they set on a quest to save the world of Spira, an advanced universe that relies heavily on machina. But it now suffers from the endless destruction cause by the villainous Sin. In Final Fantasy X-2 you return to the world of Spira, two years after the commencement of the Eternal Calm. Both titles offer over 100 hours of combined gameplay, with remastered graphics, offering players the choice of listening to the original or new enhanced audio. 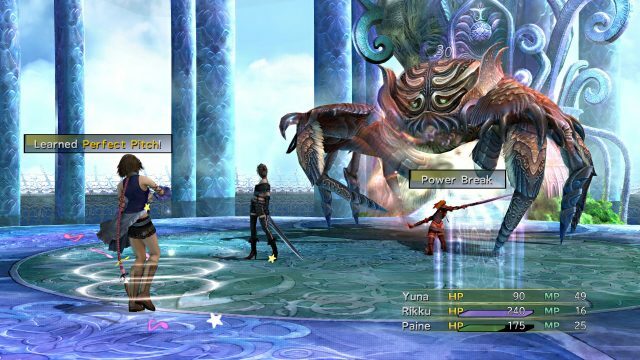 Final Fantasy X takes on the classic turn-based system but adds a few twists with actions and cooldown times, which can rearrange sequence order or even swap out active characters during battle. 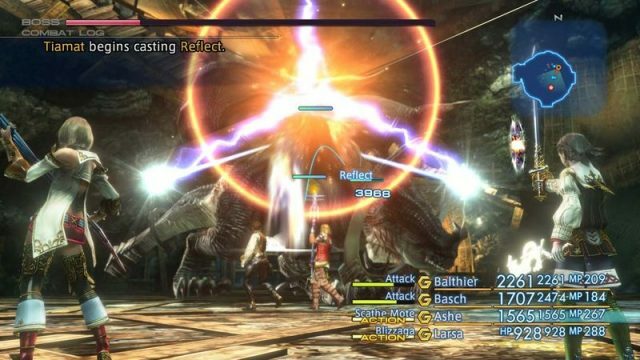 The sequel, Final Fantasy X-2 uses a modified ATB system which has been used in other titles in the series, but is more fast paced and allows two actions simultaneously. Explore the the world of Spira, take on quests, minigames and optional side-quests. Final Fantasy X/X-2 HD Remastered releases on Xbox One and Nintendo Switch on April 16th. Another Final Fantasy title making its way to Xbox One and the Switch is Final Fantasy XII: The Zodiac Age. In this entry the kingdom of Dalmasca has been infiltrated by the forces of the Archadia, it’s down to a couple of vagabonds, a knight, leader of a resistance, a sky pirate and a rabbit lady to take on the wicked enemies and save the kingdom. 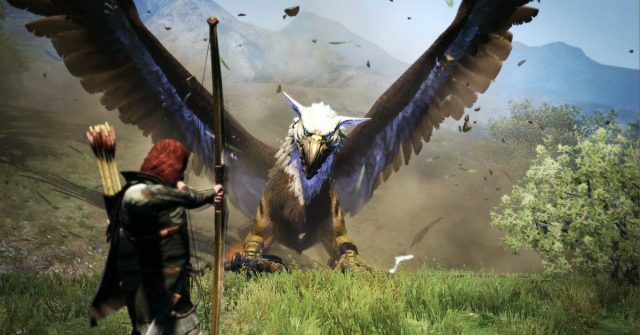 There’s an airship, humanoids rabbits and Chocobos, what more could you want from a Final Fantasy game? This entry in the Final Fantasy universe takes on a different approach when it comes to combat. In this title battles take place out in the open, no teleporting to a battle scenario here. Tailor your party’s actions to behave as you wish using the gambit system between fights. Actions are carried out once cooldowns have completed, swap and switch actions in the list of commands to have them play out when ready. You can gain new commands to customise your squad further from merchants throughout the game. Combat is fairly flexible when it comes to characters, allowing you to choose any role to cast them in, with a selection of 12 variations of Licences. For example choose “white mage” to gain those much needed heals or “foebreaker” for a more upclose combat build. The remastered version brings an updated feature which allows players to speed up actions if you wish and New Game+ mode. Final Fantasy XII: The Zodiac Age releases on Xbox One and Nintendo Switch on April 30th. Dragon’s Dogma: Dark Arisen is set in an open-world, where players will be able to embark on an action-combat adventure accompanied by three AI companions also known as Pawns. Together with your crew, you will battle terrifying enemies to reap the rewards. Wield a sword and shield as a Fighter, protecting your group or take on the role of Mage by using spells to attack or recovery magic to aid your party. There are a number of different jobs to take on to suit your preferred gameplay style which includes Fighter, Strider, Mage, Warrior, Mystic Knight, Ranger, Assassin and Magic Archer. You can even summon other player’s pawns to aid you in battle by visiting a Rift stone. The game has been adapted for a more Switch friendly gameplay experience, with a “revamped user interface” meaning better screen visibility for both handheld and docked mode. Dragon’s Dogma was first released in 2012 directed by Devil May Cry lead Hideaki Istuno, which was later expanded with Dark Arisen. Dragon’s Dogma: Dark Arisen will join the Nintendo Switch on April 23rd and comes with all previously released content and DLCs. That’s a wrap for the Top RPGs of April. Did I miss your favorite April release? What games are you most looking forward to this year? Please let us know in the comments below. You can also check out the Top RPGs of March 2019. So, do you want more? If so, you can find more Top RPGs for 2019 here.